Everyone know that your SIM card in your phone allows your location to be traced. The only people that used to have to worry about this were those on the wrong side of the law - but the advent of so-called smart phones has changed all that. Now it isn't just the SIM card that can locate you but often enough a built-in GPS chip... which gives ever more accurate location data. Very useful when you are lost and want to use the map to find your way. There are a whole host of of other Apps that want to know where you are (and sometimes what you are doing). Why would you care? Often enough the Apps are just trying to deliver you better geographically based content. There isn't usually any sinister ulterior motive. The perceived problem is that constant streams of Geo-data could allow a comprehensive picture of someone's habits and likely location to be built up. Cited examples are allowing thieves to target houses they know will be empty. 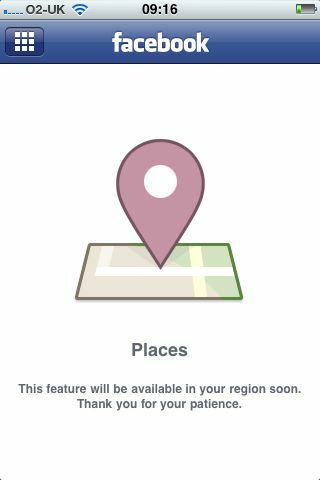 The latest purveyor of geo-locating, whipping up a frenzy of (mostly negative) publicity is Facebook's new 'Places'. I must have been sent a half dozen articles already telling me how to disable it since is launched less than a week ago - here is Lifehacker's version if you are interested. 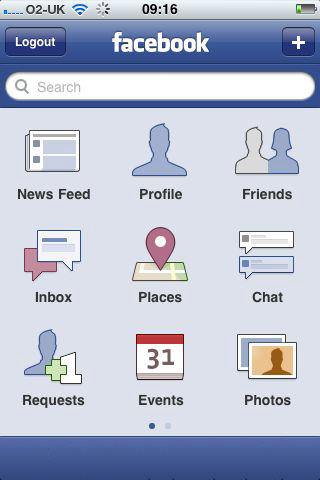 I thought I'd see what all the fuss was about so I went to the Facebook App on my iPhone. Sure enough right in the middle of the content page there was a new choice 'Places'. So I pressed it to see what would happen.... nothing - it hasn't got to the UK yet! I think it is going to be a bit like Foursquare and allow you to 'check-in' places. Just another endless stream of irrelevant minutiae that we really don't need to know.